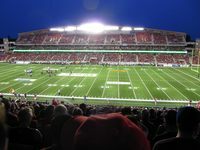 Though Canadian history of association football isn’t the most impressive one, first sports events at this very stadium were held already in the nineteenth century. 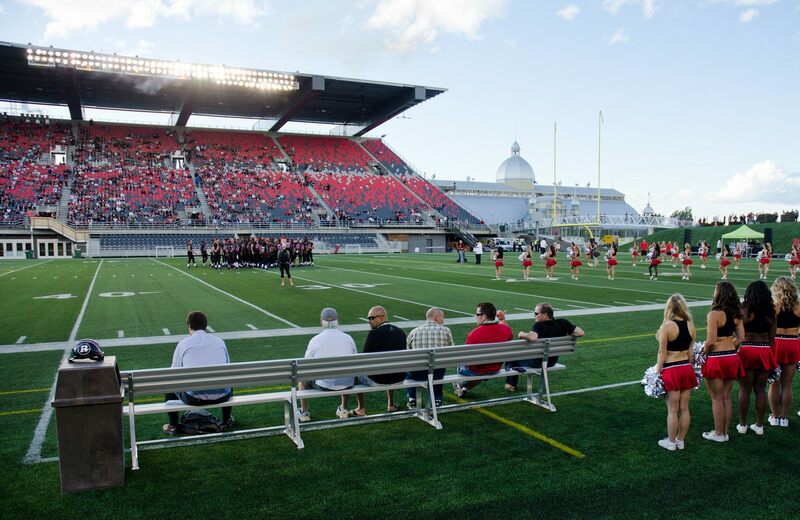 It wasn’t football, but equestrian sports, lacrosse and rugby. 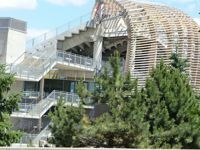 More use came when the first grandstand, mostly wooden, was built along the north side in 1908. 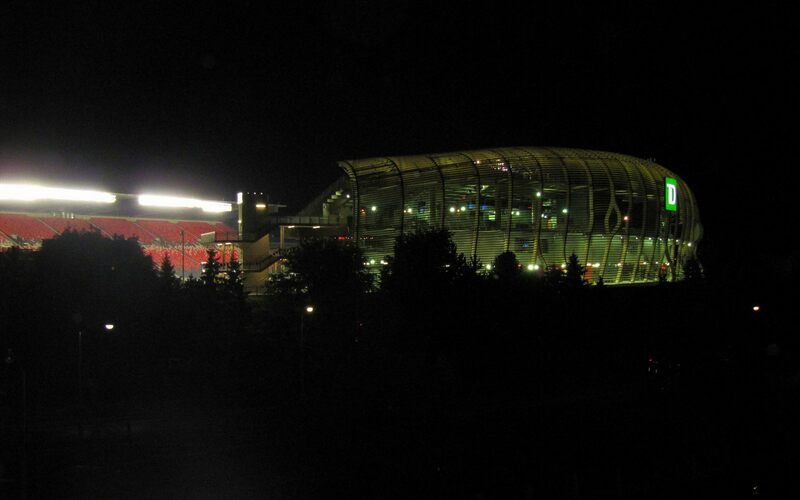 It stood there until 1967. 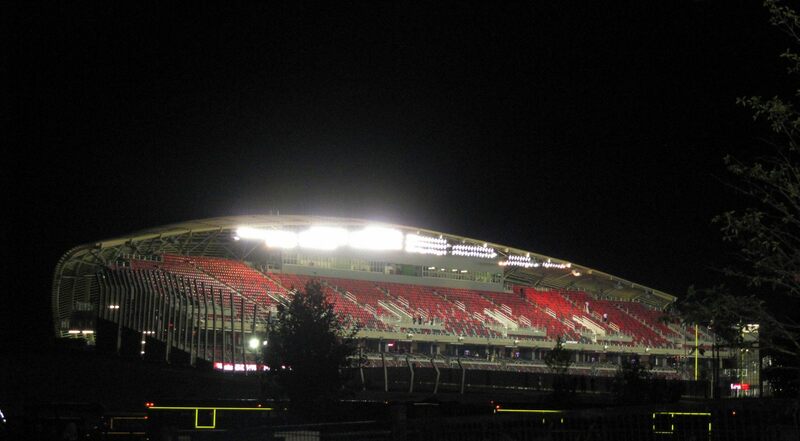 This is when the first major revamp began. 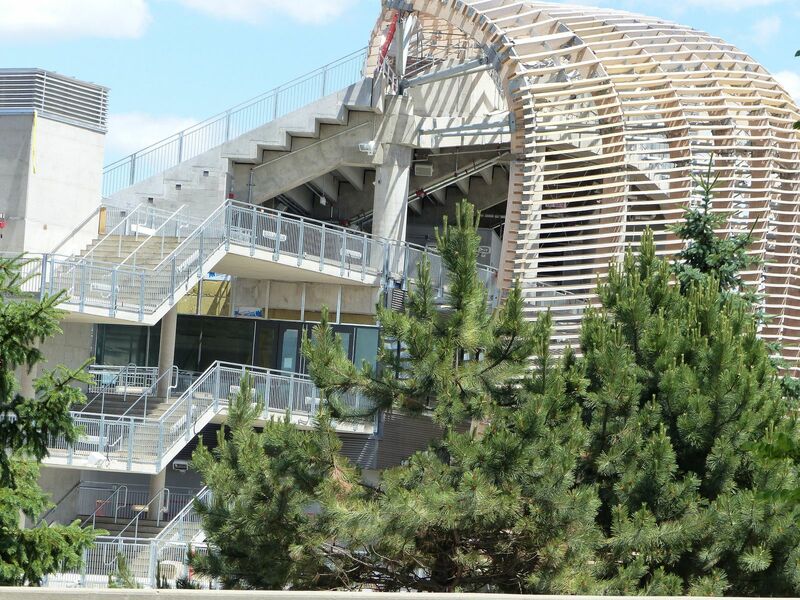 The new north grandstand was based on a strong steel structure, which didn’t only allow to base the stand and roof, but also an indoor hall behind it. 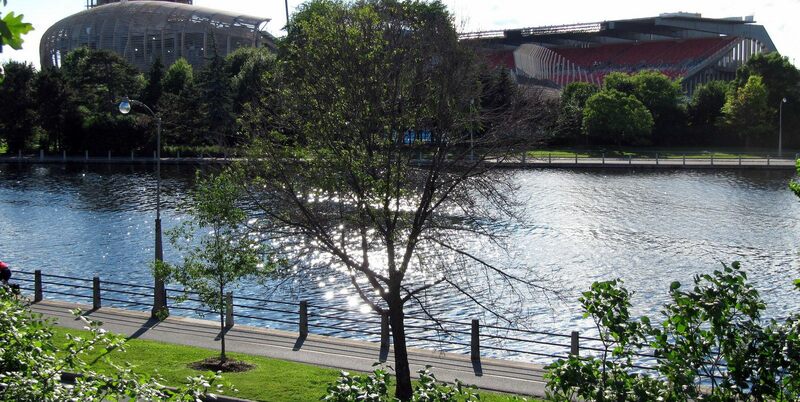 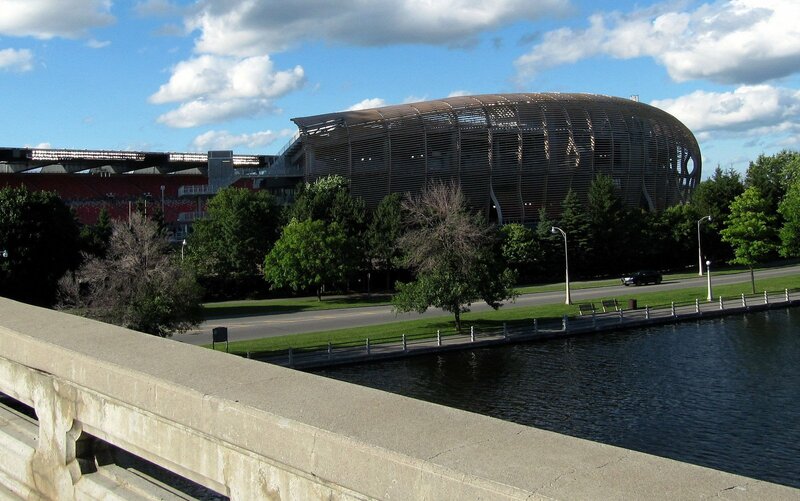 On the opposite side of the pitch, along the Rideau Canal a new concrete stand was also built. First it had a single tier, but was then expanded in 1970s to double its size and have partial cover. 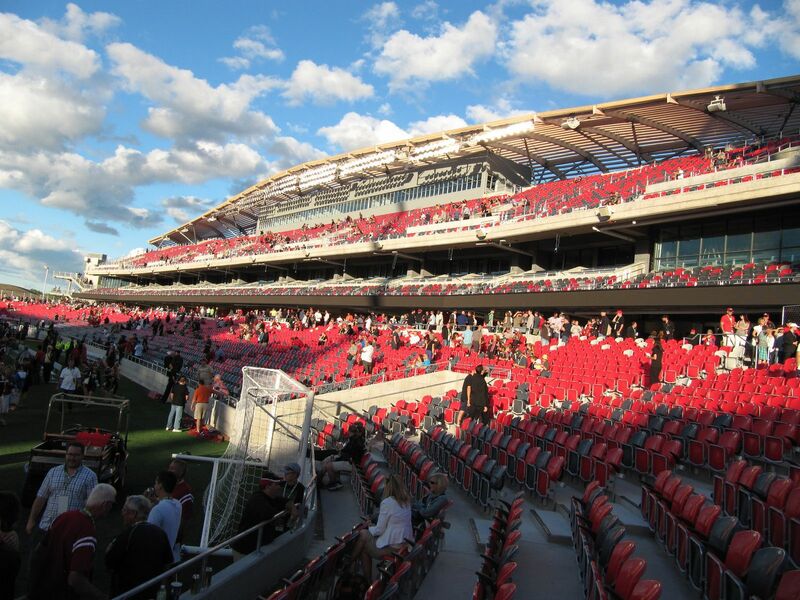 Capacity up until early 2000s was over 30,000 seats. 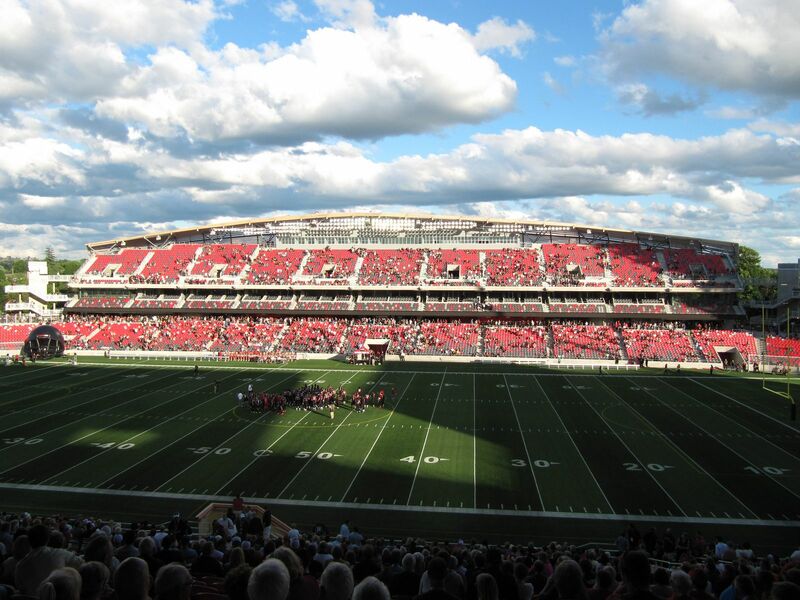 Biggest upgrade to date began in 2012 and was worth over $245 million. 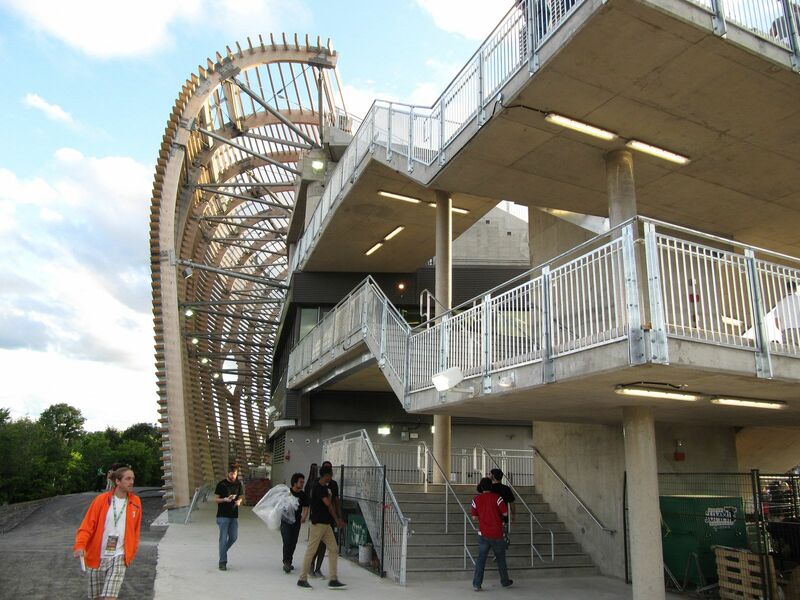 The north side was left untouched structurally, but renovated throughout. 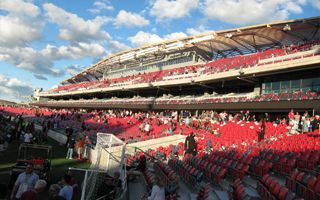 The south end in turn was demolished entirely and rebuilt as a new double-deck stand with a strip of skyboxes between. 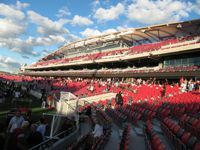 No more roof, but the stand received a wooden external wrap, partly overlapping the upper tier of seats. 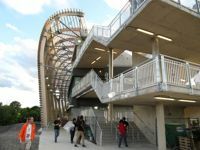 It provides shade, support for the floodlight and is the most appealing aesthetic element of the stadium. 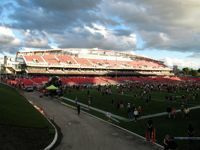 Since its opening, the stadium was mostly referred to as Lansdowne Park, due to its location in the exhibition green space south of Ottawa’s downtown. 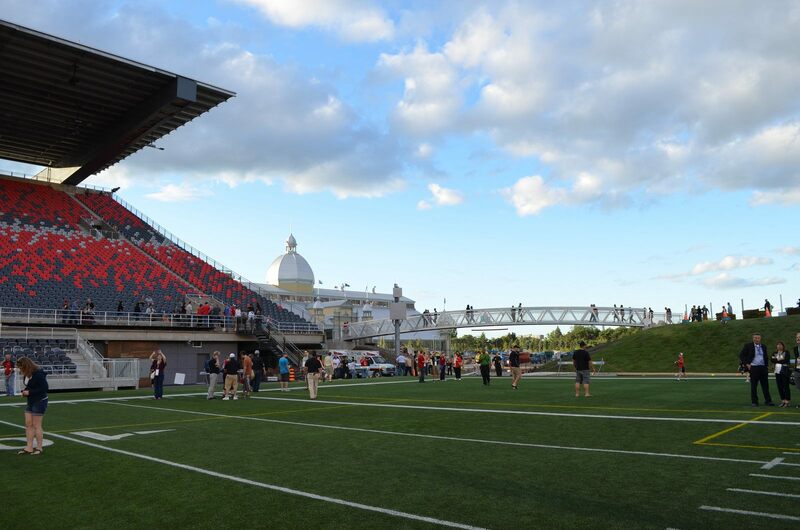 It wasn’t until 1993 that the ground received was named after famous CFL coach Frank Clair. 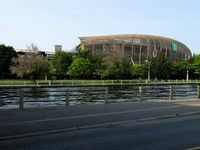 Things changed again in early 2014, when Toronto-Dominion Bank (TD) secured naming rights, paying $1.2 million annually for under three decades. 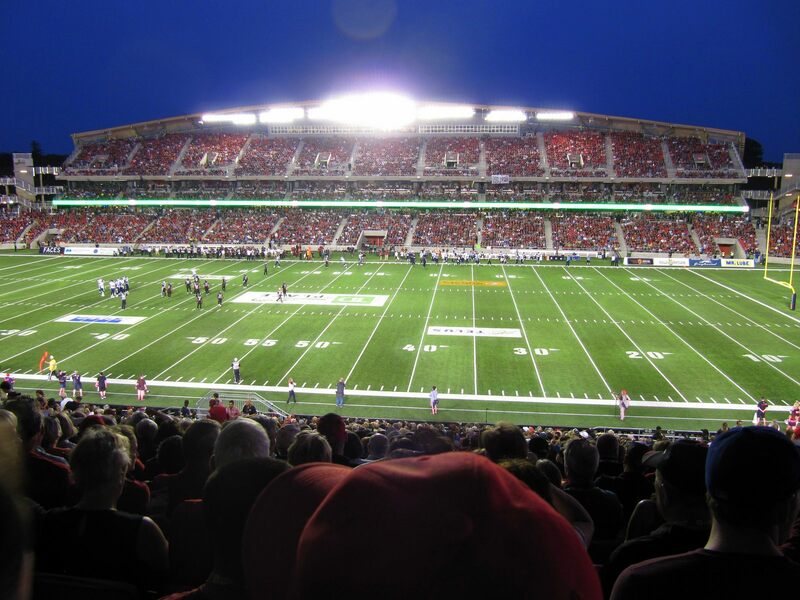 During over a century of existence the stadium had numerous anchor tenants, both in the CFL, academic sports and minor league baseball. 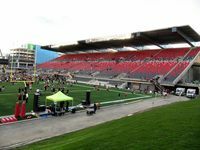 Apart from that it played host to other events, like the Grey Cup, FIFA Women’s World Cup, numerous concerts and other events. 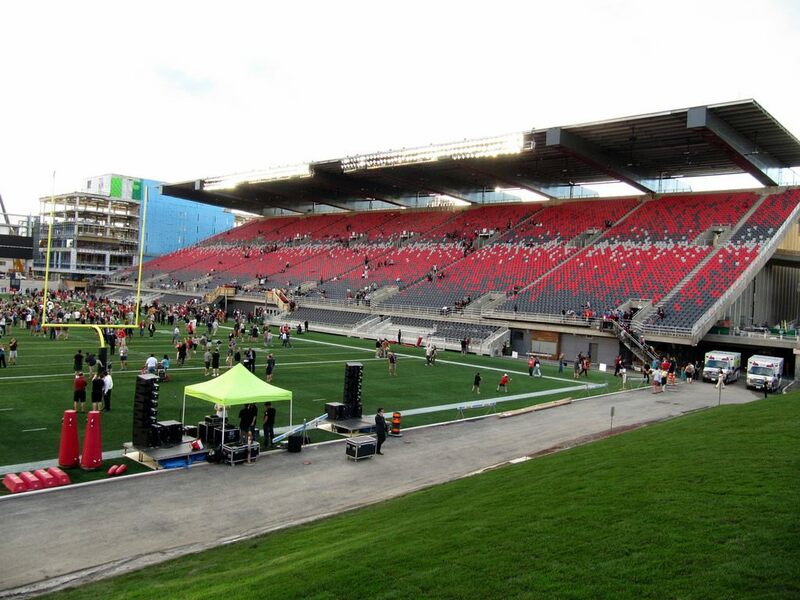 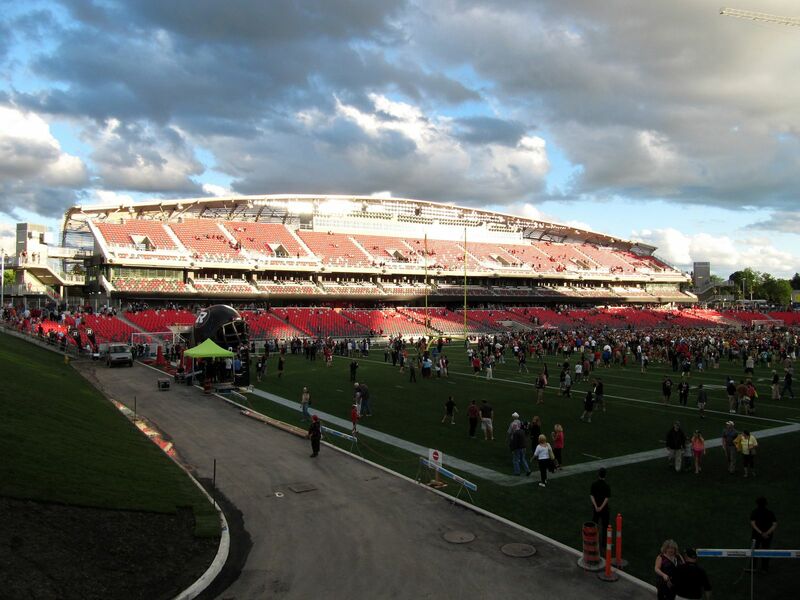 Starting 2014 it’s home to two new franchises: Redblacks (CFL) and Fury FC (NASL). 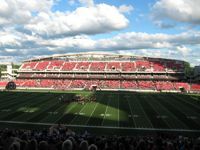 The latter team made an all-time attendance record of its own league during the opening game. 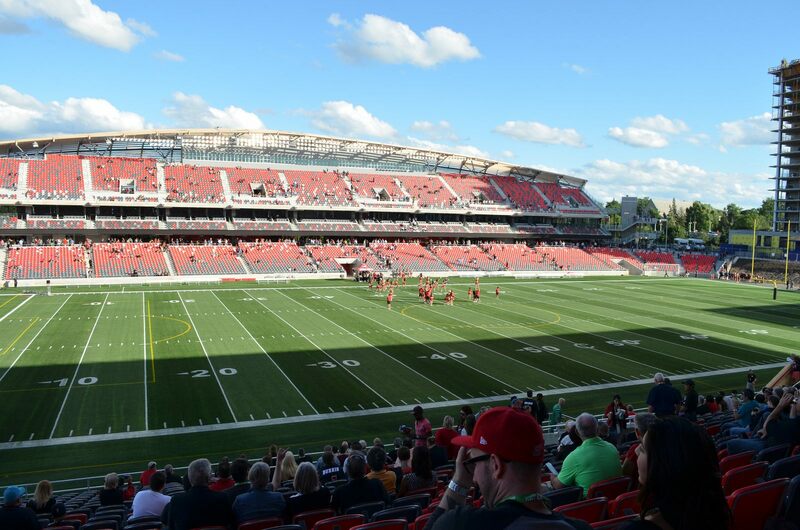 Today’s re-opening “soccer” game will also break the NASL attendance record. 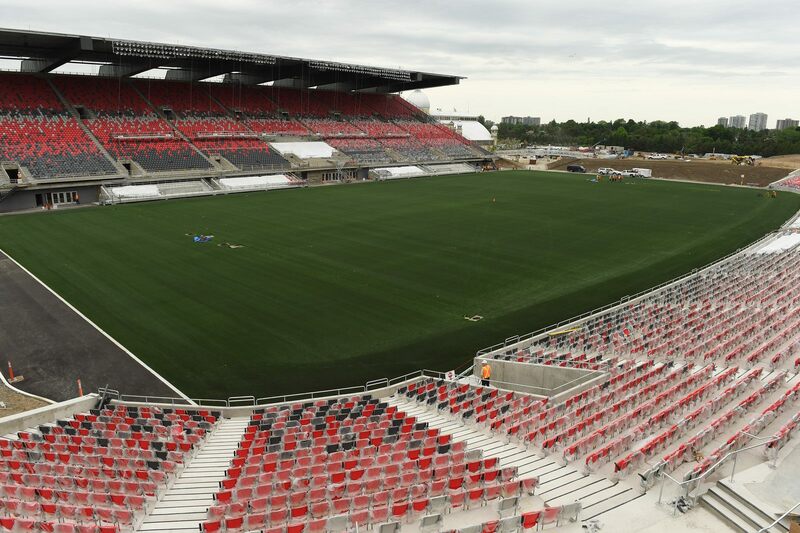 Only a home win is left to make it a perfect day for Fury FC, a fresh franchise in the growing league.